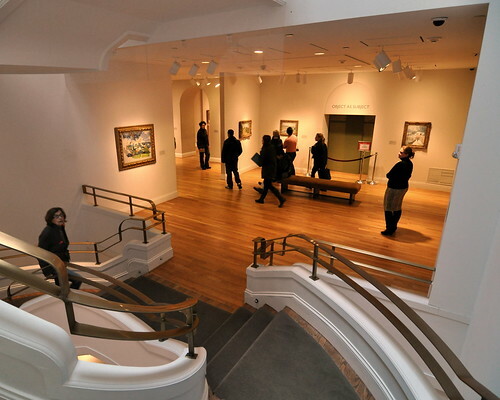 The Phillips Collection in Dupont Circle, when it opened in 1921, became the country’s first museum to focus on modern art, beating New York’s MOMA by 8 years. Founded by the scion of steel baron Duncan Clinch Philips, the museum has been a central hub of the modern art world for 90 years now. This weekend, the museum is hosting a Free Weekend for all to enjoy as part of a kickoff celebration of their ninetieth year. This weekend, the Phillips will be open 10-5 Saturday and 11-6 Sunday for free to the public to celebrate their big anniversary, and they’re doing it in style. In addition to a full exhibit of Sir Howard Hodgkin’s work, with its centerpiece twenty-foot etchings As Time Goes By, the museum will have birthday cakes made by pastry chefs Warren Brown (Cake Love), Rebekka Baltzell (Restaurant Eve), Chris Kujala (RIS),Tom Wellings (Equinox) and others. 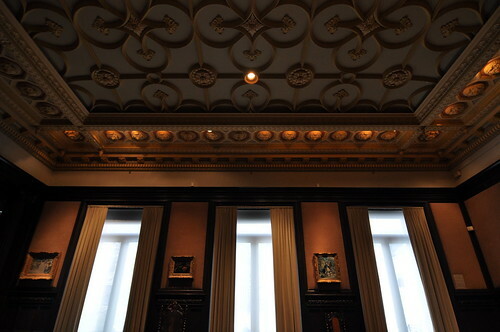 The Philips Collection is one of the world’s finest modern art galleries, and this weekend it’s free to go see it. They’re also revealing the renovations of the original Phillips house this weekend, especially important after the renovations-related fire back in September.